When we arrived early at the Cathedral on Christmas Eve it was already packed with worshippers. We were ushered to the back to wait in a standing room only area as the ushers checked for remaining seats. It was a great view point and I would have been content to stand there through out the service if no seats were found. We were standing just beside the Nativity so I was able to get a good look at it for the first time. 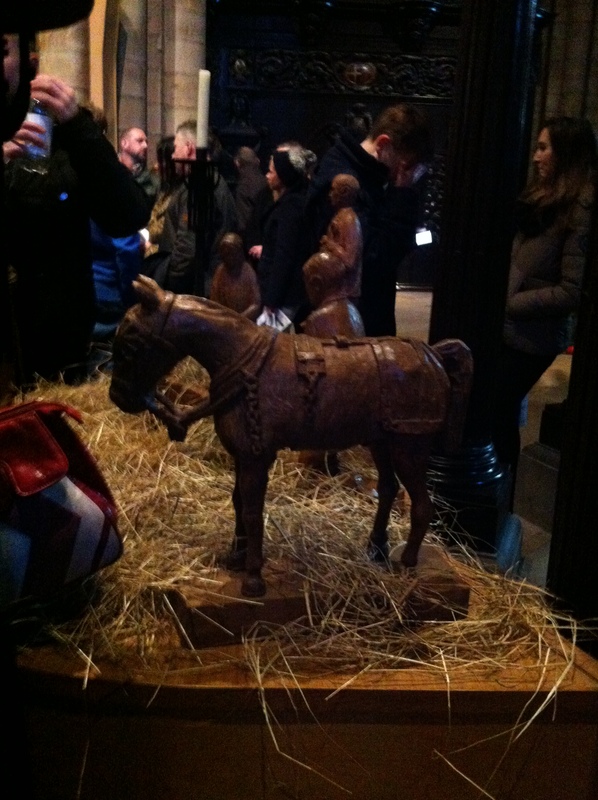 A local retired miner named Michael Doyle carved a beautiful nativity for the Cathedral. County Durham has a rich history in coal mining. 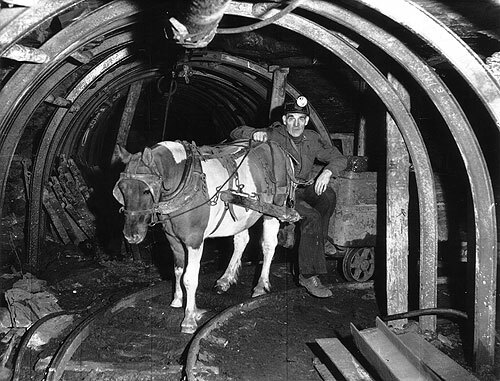 A coal miner with a pit pony. I snuck a quick photo of the Nativity’s “pit pony” donkey. I hope to go back during Christmastide to observe the Miner’s Nativity in more detail.